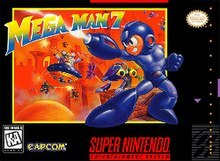 Of all of the games in the original Mega Man series, few get as much hate as Mega Man 7 for the SNES. Personally, I never quite understood this when you consider how god awful (and broken) Mega Man 8 is. Seriously, I love the Blue Bomber but I have tried to enjoy MM8 for over 15 years and all it does is fill me with utter hatred for the game. While certainly not the strongest game in the series, I thoroughly enjoyed Mega Man 7 and loved all of the nostalgic nods it made to earlier games in the series. I feel a lot of the hate stems from the release of the eternally badass Mega Man X a few years earlier on the same system and the cartoon inspired visuals which many weren't expecting after the darker tone of the X series. All valid arguments but it was still a great entry in the legendary series with great graphics, solid gameplay and an underrated soundtrack which was quite unique given the sound library used. Apparently I am not the only one who appreciates the sound of Mega Man 7. YouTube user PrincessZelda2020 has decided to remix a variety of classic Mega Man tunes from earlier games in the series using the sound library from number 7. The results are pretty good and an enjoyable listen for any fan of the Blue Bomber. Enjoy!